Occupying the ground floor and basement level of an iconic corner landmark building originally designed by William Hardenbergh (architect of New York City masterpiece such as the Plaza Hotel, the Dakota and the Waldorf Astoria), Lafayette is a light-filled restaurant, in the tradition of France’s Grand Cafés. 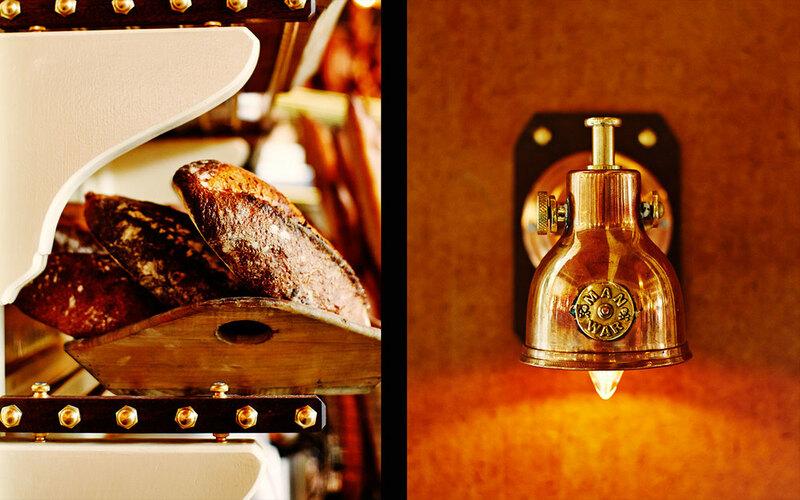 Urbane and earthy, romantic and comfortable, Lafayette is open from early morning until late at night, serving a range of food from the casual to the luxurious. The bakery is the first space that greets guests with a classic French palette in deep blue and white, with a large veined-white marble island and counters, and classic glass shelving. 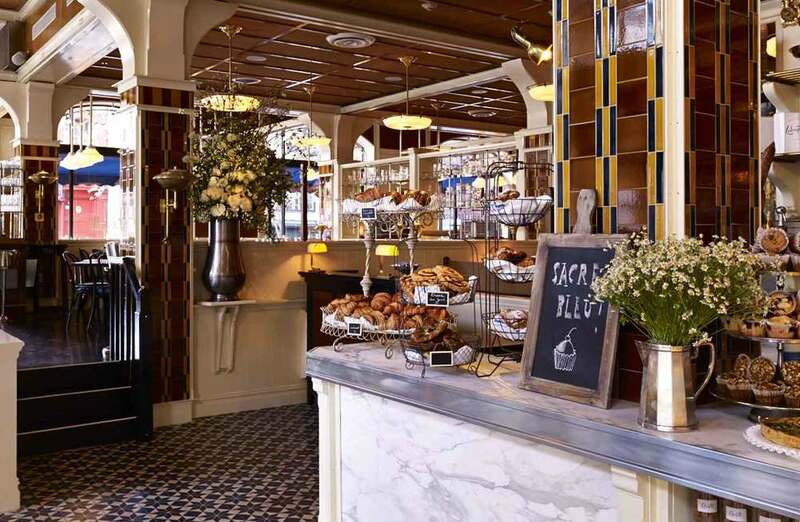 The space is grand and rambling, with dark oak floors and plenty of light, abounded by a rich caramel, blue, and cream palette, as it recalls a Parisian Grand Café and its markets. The arched windows that march up both Lafayette and Great Jones Street are framed with custom made Eiffel-like armature dotted lights, while massive glossy and patterned columns organize the different quadrants of the restaurant. In contrast, earthy cork ceilings add a deep coloration that partners beautifully with the custom lighting. A large clock sits above the main bar, reminiscent of the Musee D’Orsay’s own centerpiece. Lafayette reinvigorates its sunny corner, as well the building in which it calls home, deservingly so.